Performance, Drivability & Efficiency. Simplified! 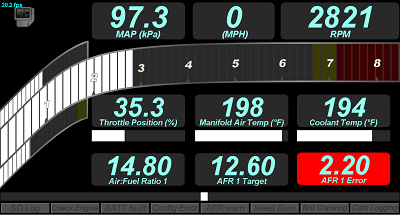 - Much MoreThen dive deep with advanced analysis tools.Critical to really understanding what is is happening in your engine. 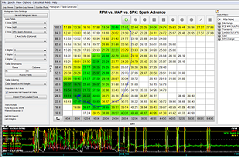 MegaSquirt Edition of TunerStudio - Unequaled Tuning Software featuring VE Analyze Live! – Tune For You. 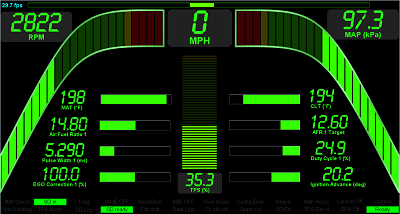 The Premium Edition of TunerStudio for MegaSquirt - Unequaled Tuning Software All the TunerStudio MS features plus Trim Table Analyze, Integrated Logging, Dyno & Tuning Views and much more. Already have TunerStudio MS registered? This will upgrade your TunerStudio MS registration to TunerStudio MS Ultra! The most powerful TunerStudio ever! The Premium Edition of TunerStudio for MegaSquirt - Unequaled Tuning Software featuring VE Analyze Live, Integrated Logging, Dyno & Tuning Views, Trim Table Analyze and More. 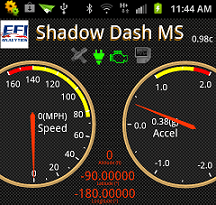 The answer to power and drivability is in the data! But you need the tools to see it. A must have for every TunerStudio user! Check this out! Connect to your MegaSquirt with any Android phone or tablet.